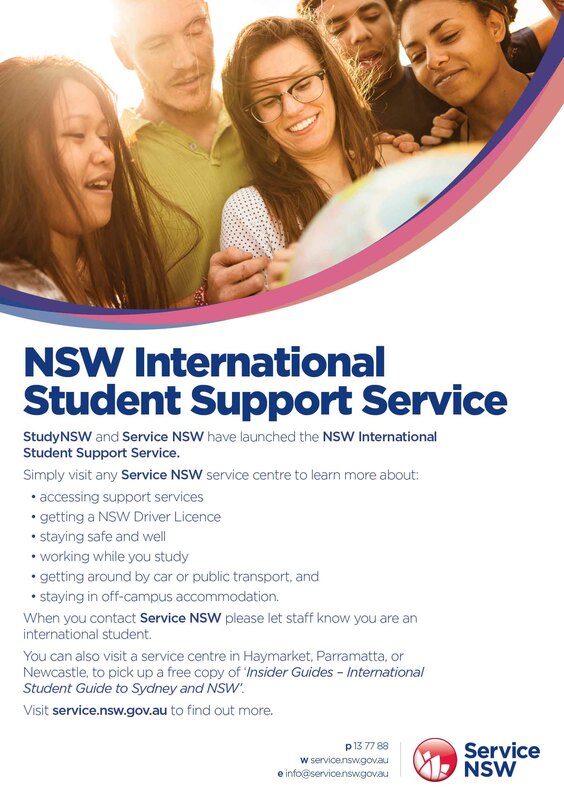 StudyNSW is excited to announce a new partnership with Service NSW offering dedicated and centralised information and referral advice to international students in New South Wales: the NSW International Student Support Service. No matter what type of study students are doing, whether they are here for a few months or a few years, we're committed to helping them have a safe and rewarding experience. We want living and studying in Sydney and NSW to be a memorable time for all international students. You can also visit a service centre in Haymarket, Parramatta, or Newcastle, to pick up a free copy of ‘Insider Guides – International Student Guide to Sydney and NSW’. Find out more about the services on offer.